Crown Street Barre mixes the movements of pilates, yoga, cardio, and ballet to give you a muscle-shaking, heart-pumping, full-body workout. The low impact movements, set to motivating music, will provide a thorough cardiovascular and strength training workout that tones and sculpts your entire body. You’ll improve your posture, gain muscle definition, and increase your flexibility as you fly through the choreographed movements at the barre. We welcome all – no dance experience needed. This class is popular – make sure to register ahead online using the Zen Planner App for members! Classes are limited to 18 participants. This 45-minute class is designed to focus on the upper half of the body! Using light weights, bands and body weight exercises along with upbeat music, you will move though a series of exercises targeting your arms and core. Small, isometric movements are used to build muscle endurance while toning your body and improving your flexibility in your upper body. This class is designed for all levels – from the seasoned cross-fitter to anyone looking to take on a new exercise routine. This 45-minute class combines the Crown Street Barre moves we know and love while adding bursts of cardio excises into the mix. Low impact and high-intensity movements will sure to have you sweating in no time! The class begins with a warm-up stretch on the mat and then transitions into different barre-based movements to target the entire body while getting that heart-rate up. This class is open to all levels and no experience is required. This MPWR class series utilizes high-intensity interval training to build physical strength and mental toughness. These classes are adaptable for the beginner, the badass competitor, and everyone in-between. After a brief round of warm-up intervals (think jump ropes, air squats, lunges, crunches, etc), the class workout will be some combination of lifting weights, body weight movements, running/rowing, and heart-pumping aerobic challenges with either timed intervals (20 sec on, 10 sec off) or goal number of rounds. Classes are tailored for all levels – so if you want a bigger challenge, grab the heavier weights, and add more reps! You will leave this class with a smile on your face and a renewed belief in your own physical and mental strength. 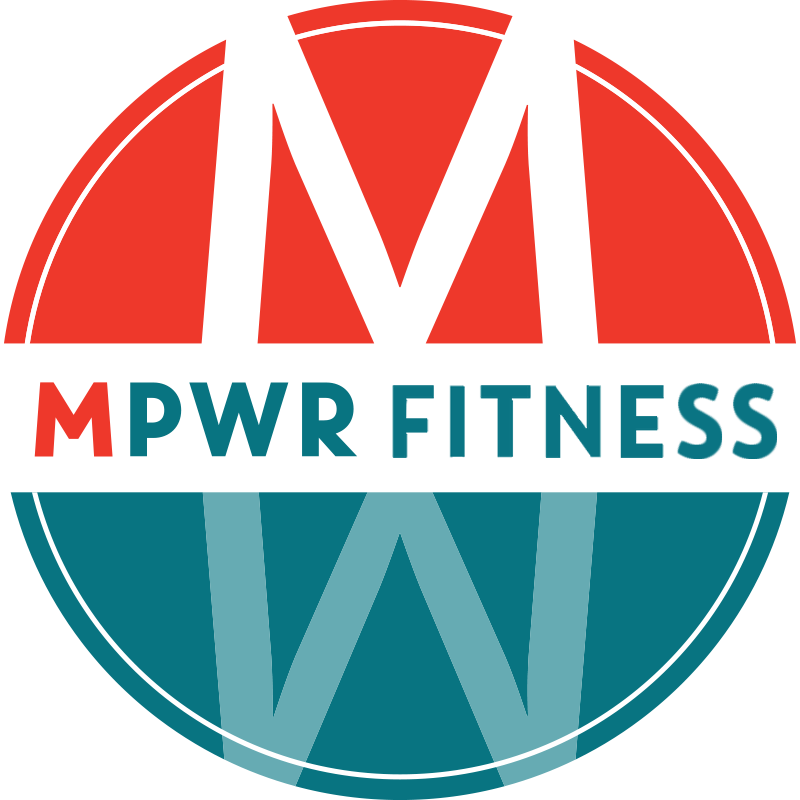 An MPWR exclusive! A core-focused class that will improve your whole body strength, tone, balance, and flexibility. Your core is your center, and by strengthening it, you will experience benefits in all your other fitness goals. In this class, you will not only tone your obliques and abdominals, but by integrating yoga-based poses we will help you apply these new strengths to improve your posture, balance, and flexibility. Work on building your stamina both physically and mentally in our MPWRStrength class. Similar in programming to its more cardio-intensive cousin, MPWRFit, MPWRStrength emphasizes pushing yourself to toning muscles with more free weight movements and achieving the next level in your fitness journey. Let us help disband the myth that strength means “bulky” – strength training is one of the most effective ways to burn fat, build muscle, and maintain strong bones. With just a little added weight comes a lot of health benefits – boosted metabolism, stronger heart, increased bone density, prevention of muscle loss, and improving your balance and coordination. You will leave class feeling happier, healthier, and stronger. MPWRBarbell is a strength class designed to improve proper technique in Olympic Lifting and its accessory lifts, including varieties of squats and presses. Safety is our number one goal – work on your form and functionality, and see your progress jump by leaps and bounds no matter your fitness routine. Whether you are a seasoned CrossFitter or a new athlete hoping to gain confidence around barbells at the gym – all skill levels are welcome. MPWRFlow blends the flexibility and flow of yoga, strength training of pilates, and the intensity of MPWR Fitness training to deliver a whole new perspective to your usual workout for whole-body movements and core stability. The program is designed to compliment our MPWRFit and CrossFit workouts – men and women are welcome and encouraged to get engaged. This class will push your mind and body to new limits with weights, isometric body movements, and mobility training – who knows what you’ll be able to accomplish next? MPWRFlow: Express is your chance to get a quick sweat and stretch at the end of your busy day. This is a steady-paced half hour of vinyasa flow programmed to the beat of music to keep you moving from warrior pose to sun salutations. Whether it’s paired back-to-back with another MPWR workout class, or just a short reset, this time-out will help you rediscover your center. All levels welcome! This is a high-intensity class designed as a mix of intense exercise and martial arts drills that induce a high-calorie burn and build stamina. MPWRKickboxing is carefully programmed to maximize strength, endurance, grit, and self-defense abilities. You will leave this class sweaty, happy, and with new friends! Classes are popular, so make sure to sign up early as a member using our Zen Planner app online. A typical class will be formatted to teach you a work out ritual, something you can relate to whether you are in the gym or not. The class is designed to have each class participant reach an “ideal performance state.” Each class will begin with a few minutes of quiet introspection and visualization (Mediation). We want you to make a transition to the workout away from daily life pressures. During the warm up we will teach you the way to move properly during the work out. We will use demonstration as well as visualization during the warm up to help each client learn the movements you will perform during the work out. The physical part of the warm up will get your heart beat up and warm you up so you are ready to put all of your self into the work out. Regular attendees will lift moderate weights three times a week in the next segment of the class. Then, there will be an interval workout for 15 to 20 minutes to drive your metabolic system through exertion and relaxation to maximize the benefit of the time you spend with us. The class will end with some breathing exercises or additional core work. The MPWR House is the proud home of Ninth Square CrossFit. CrossFit in its best tradition is functional fitness, constantly varied, and intended to keep you interested, moving and motivated. All of the workouts are based on movements that reflect the best aspects of gymnastics, weightlifting, running, rowing, and more. We’ll work with you to provide a safe, high intensity, calorie burning, heart pounding workout. We always focus on form first, then intensity, and then weight. CrossFit is not just an exercise program – by incorporating a wide range of movements that strengthen your core and build critical muscles, CrossFit changes your lifestyle. It prepares you for the unknown and unknowable functional movements we most frequently encounter in our everyday lives. Any new member looking to join the MPWR CrossFit program must complete 4 on-ramp classes for $70. It is strongly recommended before beginning MPWRFit and MPWRStrength classes as well. These classes provide dedicated class time for teaching beginners the basic mechanics and movements seen in regular CrossFit classes. Our goal is to teach new members how to safely execute movements and lifts to minimize injury, as well as to provide individualized feedback to new members beginning their fitness journey. These classes will give coaches the opportunity to gauge your current fitness level and provide modifications as needed. CrossFit has its own language and programming style – The On-Ramp Starter Class Package gives new members the opportunity to experience a “WOD,” learn to clean, jerk other barbell movements safely and within a small group setting. We offer each of the 4 classes on a rotating schedule over a two-week period, designed by our expert Technique and Foundations trainer, Coach Sharon Phipps. Members must complete all 4 on-ramp sessions before gaining unlimited access to our regular CrossFit classes. 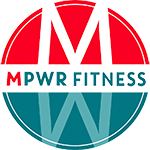 We strongly recommend that new athletes interested in our MPWRFit and MPWRStrength classes also take our On-Ramp Starter Class Package, since many MPWRFit and MPWRStrength moves (without barbells) are derived from the basic movements of CrossFit. Can’t make the scheduled classes or need to make up a class? Contact us at [email protected] for pricing and scheduling. Do you have CrossFit experience or consider yourself to be an expert athlete? Contact us at [email protected] to set up your one-time personal evaluation for $70. We will gauge your skill level and review any necessary movements before granting you access to our CrossFit classes. Open gym is an opportunity to work by yourself at time when no classes are schedule. The entire studio and array of equipment is open and available for use. Catch up on the WOD or work on your own program at the MPWR House. There will be a monitor and sometimes one of our coaches will be there and help out if asked. However, it is meant to be your time alone on the gym floor. If you’re looking for specific feedback on your movements, sign up for MPWRBarbell or IntroFit class. Looking for personalized, hands-on coaching? Contact us for personal training. Find the time and the coach that you would like to work with and schedule your Personal Training session today!